At a meeting on Thursday, legislators proposed outfitting all school buses with ignition interlock systems - similar to that of a Breathalyzer test - to prevent bus drivers from driving drunk. At Thursday’s State Senate transportation meeting at SUNY Farmingdale, state legislators proposed that the future of school transportation include mandated Breathalyzer-like tests for bus drivers every day before driving kids to and from school. Like the Breathalyzer, an interlock would be installed in buses and would require the driver to breathe into it to prove that he or she is not intoxicated in order for the ignition to work. The bill was proposed after a rash of vehicle accidents caused by impaired bus drivers. Since October, there have been four bus accidents on Long Island caused by drunk bus drivers, including one when a bus driver with a bus carrying five student crashed into a house in Syosset. "Parents entrust their children's lives and safety to school bus drivers," said Senator Charles Fuschillo. "They have every right to expect and demand that the bus driver is sober." While the bill is also supported by Nassau County District Attorney Kathleen Rice and Senator Lee Zeldin (R-Shirley), all bus drivers that testified at the meeting opposed the idea. "As champions of school bus safety, the New York School Bus Contractors Association believe there are better solutions to help prevent DWI and further protect our children," said Paul Mori, a New York School Bus Contractors Association board member and senior manager at Huntington Coach. "When considering the excellent safety record of the industry, the technical challenges of ignition interlocks, and cost, the Association believes that mandating ignition interlock devices on every single school bus in New York is simply not a rational response to a few isolated, yet widely-publicized, incidences." The interlocks will have to be engaged every time the bus is started, which Mori sees as an issue for a driver whose main goal should be to get children to where they need to be in a timely and safe manner. "Any false positives (mouthwash) or other problems with the device would lead to significant employee and transportation management issues," said Mori. "And, because these devices require activation from a driver while the vehicle is running to be effective, this could create major distractions for the driver and, ultimately, be very dangerous for students riding the bus." 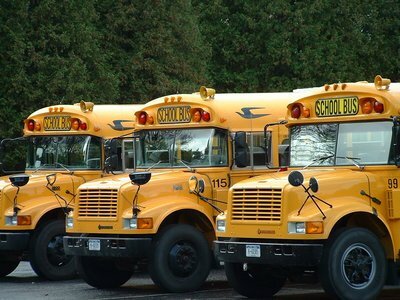 Bus drivers and opponents of the bill also argue that it would be too expensive to install ignition interlocks on all school buses, which Mori estimates to be as high as $100 million per year. If the bill is passed, it will go into effect in 2015. Subject: LongIsland.com - Your Name sent you Article details of "NY Legislators Propose School Bus Breath Test Interlocks for Bus Drivers"